Pepsi is gearing up to introduce consumers to a new drink that is made with nitrogen technology. The addition of nitrogen gives the bubbly soda beverage a creamier and smoother texture as compared to the fizziness of regular soda. Nitro Pepsi is not being sold in stores — yet. 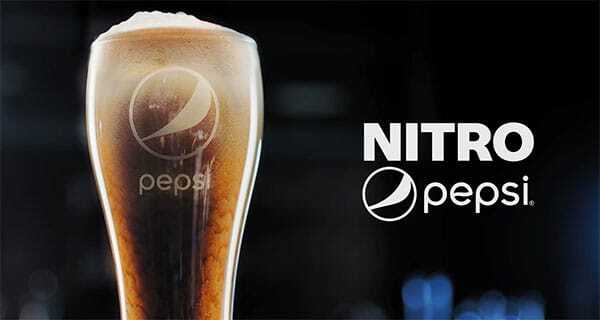 According to the company, Pepsi is slowly introducing the world to Nitro Pepsi and tastes of the new drink will be distributed at the upcoming Super Bowl LIII in Atlanta on Sunday, Feb 3. Pepsi will offer two flavours of the nitro-infused soda beverage including regular cola, as well as vanilla. When poured into a glass, Nitro Pepsi offers a creamy “cascading foam” that has a “unique texture and elevated experience,” according to the company. “We couldn’t be more excited about how far we have come with the development of ‘Nitro Pepsi,’” Todd Kaplan, VP of Marketing, Pepsi, said in a press release. “With Pepsi, we are going all in on delivering the most exciting experiences and offerings to our loyal fans – from engaging marketing programs to disruptive new product innovation. Nitro Pepsi reflects an industry-wide push to create soda that’s “more interesting, more premium and consumed a little slower by the consumer,” says Euromonitor. Speaking to FoodNavigator-USA after PepsiCo released this news, which could be sold in cans or dispensed in bars and restaurants, Euromonitor head of soft drinks, Howard Telford, said the drink by its nature was designed to be consumed slowly, delivering a more enjoyable experience than drinking regular cola in a bar or restaurant, for example.